The Cadillac of art bags I must say. Well I don't know really but I think they look pretty spiffy! 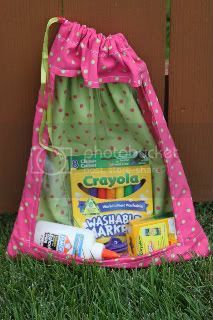 I saw art supply bags popping up online but I really didn't want to do a tutorial on a plain old bag. 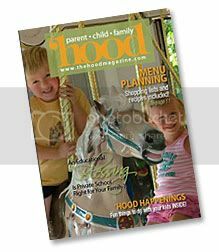 Then this idea came to me, I already had the supplies from another project I was working on, and I also have three kindergartners in my life this year. A niece, a nephew and my daughter! School supply list said to bring a bag to keep art supplies in. Then went on to say a two gallon Ziploc bag is fine. Well... I can do better than that!!! 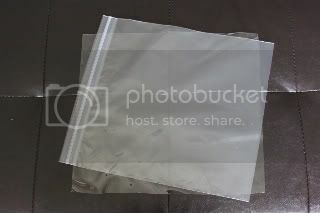 The Ziploc bag got me thinking though that it can be handy to be able to see where things are in your art bag without having to dig to the bottom and peek in the opening. So this idea was born. Ribbon or chord of choice. The school supply list says to use a two gallon bag. So for the window on our art bag I decided to use the ONE gallon size Ziploc as a guide to cut out my vinyl. The bag will be larger than the window. 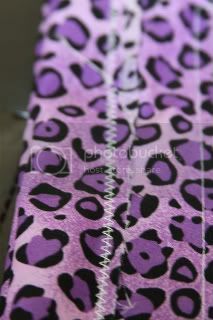 Then I cut out four pieces of fabric both 4 inches wide that match the length of the vinyl. Take two pieces, put the right sides together sandwich the vinyl in between like this. Then sew a 1/2 inch seem. Repeat this on the other side. 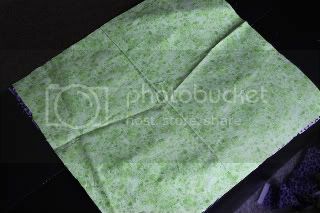 Then open up the sewed sections so that it looks like this. 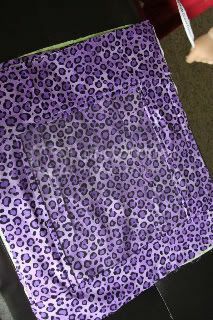 Then measure 2 strips of fabric that are 4 inches wide and 2 strips that are 6 inches wide that match the length of the vinyl and fabric strips you have already sewn on. 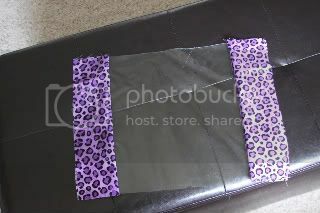 Then again put right sides together and sandwich the vinyl and now already sewn fabric strips between sew 1/2 inch seams. Do this for both sides. 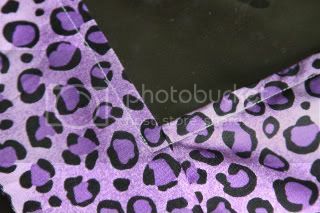 When you open your fabric pieces it will look like this. 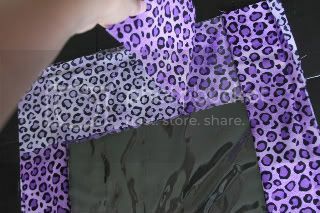 Take this to the sewing machine and you are going to stitch a 1/4 inch seam around your window. You may have to hold the vinyl up off your machine a bit to keep it from sticking. I gently pulled the fabric strips back as I sewed as well so that it made the edges crisp. D not iron vinyl!!!! This will be the second seam on this area so it will be nice and strong now. I already think it looks cool. For some reason I see an awesome finger puppet stage in this, but that is a project for another day. Next measure out a piece of fabric that is the same size as your rectangle. Place it behind the window so you can see the right side though the window. Next measure out a rectangle of the contrasting fabric the same size as the rectangle. 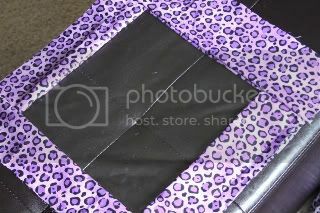 Flip over your window so that it is window side down and place the contrasting fabric right side up on top. 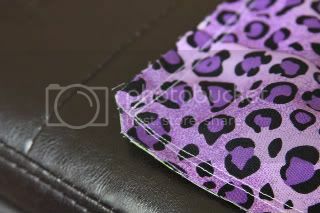 Sew a double seam on three sides of your rectangle leaving the side with the wider 6 inch strip of fabric as the open side. Open your bag slightly you should have the window piece in one hand and green and purple solid fabric pieces in the other. 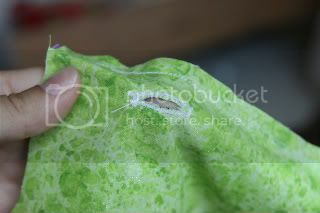 Sew a button hole on one side around 1 inch from the top. 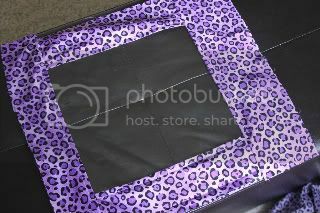 This is where you will insert your ribbon draw string. 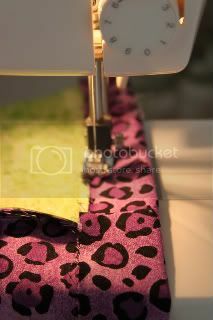 Once you have sewn your double seam, trim off extra and trim bottom corners like this. This will make them more square when you turn them. 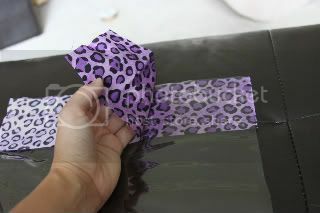 Fold over the top of your bag around 1 inch and sew a tunnel for your ribbon draw string. 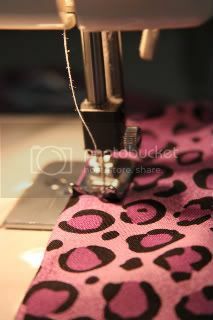 I sewed one straight stitch seam and then went over it again with a zig-zag stitch to give it extra strength and for extra decoration. Now turn your bag right side out. Attach a safety pin to your ribbon or chord and thread it though the button hole thought the tunnel and back out the hole. This is where I added three pony beads over both ribbon ends, on the girls bags. Knot the ends of the ribbon draw sting together. I love how they turned out. 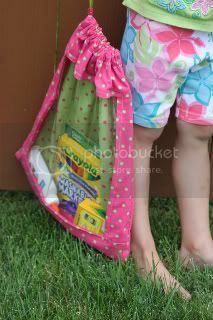 They would make nice bags for toys as well. My youngest son had placed all his peek-a-blocks in one yesterday and I just may have to make some more of these for action figures, dinosaurs, blocks and other things. 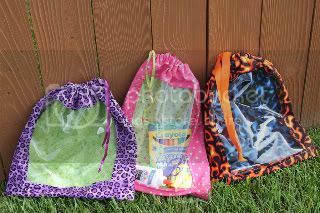 They would make great travel bags for long car rides to store your notebooks crayons and other toys. 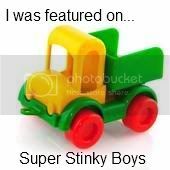 Nice and sturdy! Have fun in kindergarten guys! Your auntie (and mommy) loves you! Grab and Go Granola Bars.